SEO Consultancy My Process Blog Hire Me! A quick (& free) 15 minute discovery call all about your business. I'll ask a few questions your goals, challenges, & current digital marketing strategy. You can ask me anything you like. After, I'll send you an outline of everything we discussed, & get your sign off on the next step (the Opportunities Report). What you'll get: A warm, comforting feeling that I'm the right guy for the job. Once I've got everything I need, I'll start work on your Opportunities Report. It provides simplified, actionable SEO advice on the most important ranking factors for your site. It's intended to help educate anyone who's not clued up on SEO, at the same time providing a roadmap to increasing organic traffic. Where do the biggest keyword opportunities lie? What are the high traffic, highly relevant search terms we should be using for this campaign? Looking for opportunities to improve content and on page text. I’m looking at crucial signals including Titles, Headers, URL, Meta Descriptions, body copy, & on-page links. Identify any shortcomings of the technical side of your site. This includes URL structure, internal linking, structured data, 404 errors & page loading speed (among many other things). What you'll get: An understanding on how you're placed in the eyes of search engines and a roadmap to SEO success. I'll follow up with a call to discuss the report & answer any questions you may have. We'll have a chat about my recommendations & determine the best way to begin dominating search engines. After, I'll email through an overview of what we discussed. I'll talk about my pricing - providing a firm quote that's laser focused on the activities that are going to provide the greatest ROI for your business. I'll also include a contract for you to sign. What you'll get: A breathtakingly good plan we can get underway with. Success! You've signed the contract. Now the fun can really begin! On-page Optimisation - Perfectly crafting your website for search engines. Technical Optimisation - Improving technical aspects of your site. Local Search - Enabling additional information about your business to appear on the side of search results. Link Building - Creating links to your site from high quality websites. Conversion Tracking - Determine if conversions are increasing, and attributing these to the medium responsible. What you'll get: An SEO service that's committed on providing top of page rankings. Now that things are ticking along, let's find out how your site is performing. I provide all of my clients with a dashboard specifically for their most important metrics. What you'll get: Monthly reporting on how the website is tracking and the work that's been done. Adventure magnet. Photography junkie. Badass rock skimmer. 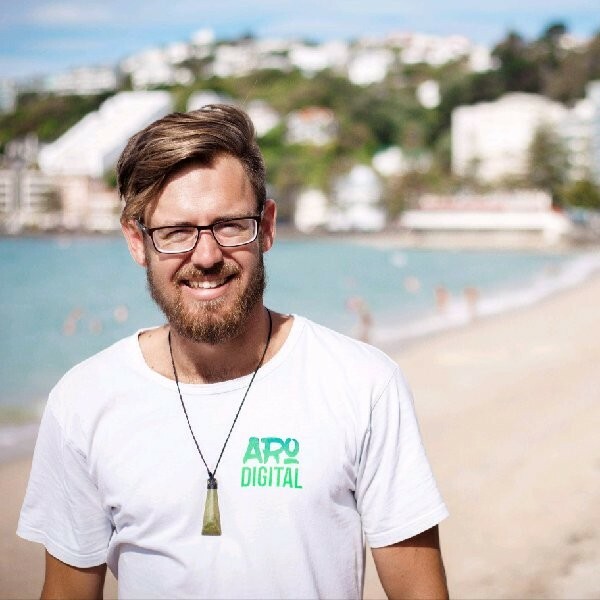 Founder of Aro Digital and a Wellington SEO consultant. Raised in beautiful Wellington, New Zealand. Enjoys exploring Wellington's old war bunkers, flying the world (for cheap) and data-driven digital marketing.